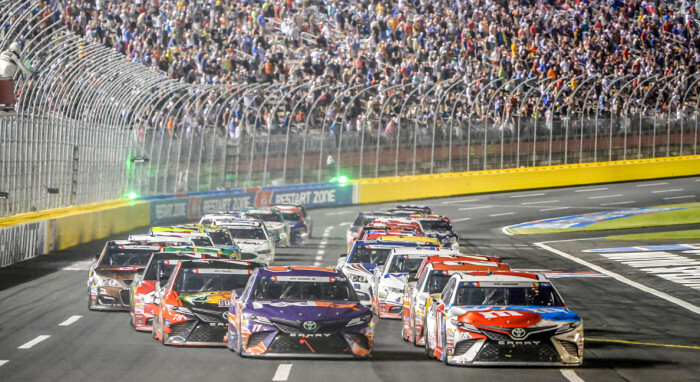 Charlotte Motor Speedway Tours are a must-do activity when visiting “Where Racing Lives” and offer a variety of options to fit any schedule. Choose one of the Daily Tours to go behind the scenes at the track! With the Feel the Thrill tour, make your way through the NASCAR Cup Series garage, two infield tracks, down Pit Road and into Winner’s Circle for a photo. Learn track facts and history while enjoying a comfortable ride around the superspeedway to feel the full-tilt force of the 24-degree banking. Plus, visit zMAX Dragway and The Dirt Track. Over the Wall includes all this and exclusive extras like a peek inside the Performance Racing Network Studios. Visiting during event time? Race Week Tours take you to must-see attractions around the area including Race Shops and local breweries on the Laps and Taps tour. There’s even an option geared toward school groups. The STEM Field Trip is an educational experience with rotating stations that teach key dynamics of racing like friction, traction, speed and acceleration. At the end of your tour, be sure to make a pit stop at Charlotte Motor Speedway’s Gift Shop! Chock full of the latest track-branded gear, you’ll find the perfect souvenir to remember your experience by. Call the CMS Tour Desk today for full details and to make reservations.